Our chimney sweeps use state-of-the-art equipment to inspect and sweep any type of chimney, including wood and gas. While sweeping your system, we make sure that everything is in working order. Chimney Cricket will look for any problems that could be preventing peak performance and will recommend what is needed for your system to burn cleanly and safely. 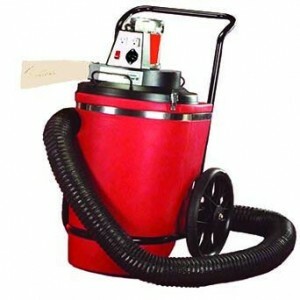 Our sweeps are equipped with the August West SootSweeper II vacuum air filtration system. It is the only dust collecting air cleaner specifically designed for removing soot particles from room air during chimney cleaning. SootSweeper controls dust clouds and falling soot by moving and filtering tremendous amounts of air. It exchanges all the air in a moderate size room in two minutes! When you use your wood-burning fireplace, a layer called creosote accumulates on the interior chimney flues, which restricts the flow of created smoke from the fire from leaving the chimney. Creosote is bad because it is highly flammable and can cause house or chimney fires. The chimney must be swept and cleaned of this residue to prevent these fires. Gas fireplaces must be swept as well due to a layer of debris and soot that develops in the chimney flue. This can restrict airflow and cause a bad odor throughout the house. It is recommended that you have your chimney swept yearly, depending on how often it is used. Everyday use means you should have a yearly cleaning. If you only use your fireplace occasionally, you should get the chimney cleaned every other year, but have a yearly inspection to make sure the chimney has adequate draft, is clear of debris, and has no loose or missing mortar joints necessary for a safe fireplace. We clean chimneys all year long, but the best time to get your chimney cleaned is during the spring and summer months. During these times, the high humidity and heat can cause a bad odor from the creosote from the past burning season. Fall and winter are our peak seasons, and you might have to wait weeks for an appointment. The spring and summer are ideal, as we can work with your schedule and get the job done as soon as possible. How Do We Clean Your Chimneys? We clean the chimney flues with special brushes designed to clean your specific type of chimney. We clean most chimneys from the inside of the house. This process allows for more dust control and is a much cleaner process than sweeping from the top down. The brushes are attached to flexible extension rods that we feed into the chimney and, rod by rod, we push the brush through the chimney flue until it gets to the top. We can only do this as fast as our special soot sweeper vacuum air filtration system can handle. The walls of the fireplace are cleaned by hand using wire brushes. We can only brush the chimney as fast as our soot sweeper vacuum air filtration system allows us to. The dirtier the chimney, the slower we must brush. No! The process we use allows us to control the dust as we clean the chimney from the inside up. All of our equipment is brought in and placed on a clean drop cloth in front of your fireplace to prevent any kind of mess.